You are here: Home / Business / Marketing / Social Media Networking For Pets: Have Businesses Successfully Tapped This Market? Social Media Networking For Pets: Have Businesses Successfully Tapped This Market? Animal lovers of the world unite! Applications like Dogbook, and websites Catster and Dogster , connect precious pooches and finicky felines with other pets online with the help of social networking. 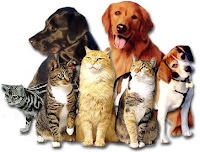 In addition to providing helpful information and advice, the sites allow dog and cat owners to post blog entries, update their pet’s status, and upload pictures of their furry friends in action. A hit during troubled times, the mere sight of a pug in a tutu or a tabby wearing a tiara is enough to make a person double over with laughter. Light-hearted and frivolous, social media applications for pets help like-minded individuals find common ground online. Considered harmless fun, Dogbook, Catster, and Dogster have incredible marketing potential. Where else can businesses find a group of dedicated animal lovers in one central location online? Facebook, with its 400 plus million members, is singlehandedly the most successful social media networking site on the web and applications like Zynga’s Farmville have fared well despite the recession. Dogbook, however, has yet to reach its fullest potential. With the pet industry bringing in a whopping $45.5 billion in 2009 alone, social media sites for Rover and Fluffy are teeming with potential. The challenge lies in how to communicate this message to the businesses that cater to our four-legged friends. Facebook Ads is one way to get the word out. The service allows pet industry-related companies to target their exact demographic easily and affordably. Facebook pages and Facebook Events plus ads helps businesses turn their advertising messages into referrals by using the testimonials of people already affiliated with a product or service. Petcentric by Purina gives customers, new and existing, the opportunity to become a Fan on Facebook. The company also advertises upcoming campaigns, gives up-to-date news about all things pet-related, and links back to the Purina Twitter account. Fans learn about important events in real time and have the opportunity to post their ideas, praise, and criticism in a public place where others can see. This type of interaction with customers is critical in growing a successful business. Numerous companies rely on this type of honest feedback to assist them in making the right kind of changes that help improve sales and win over new customers. With fierce competition, the pet industry needs to step up their game where social media is concerned because Facebook, Twitter, and LinkedIn have already proven to be the way of the future.